Having your bike stolen is most likely one of the nastiest things that can happen, in our opinion worse than crashing it. Once it’s stolen you may never get it back, sure you can collect the insurance money to purchase a new one but losing something that you’ve worked so hard to get makes it hard to replace and is very frustrating and disheartening. With a huge number of bikes being stolen around the world every year, we believe that these tips will help you secure your property better and enjoy your motorcycle for years to come. Professionals – They are looking for certain bikes and manufacturing years, even colors, and it’s these guys who author the biggest chunk of all thefts. Criminals – who use motorcycles as getaway vehicles because they are fast and extremely maneuverable. Joy Riders – they just want to ride, and they’ll most likely abandon your machine later into the night. You may think that you live in a quite neighborhood and having your bike stolen is the furthest from your mind. Just remember…most of the time it has nothing to do with your bike. if a thief is after your ride, he will track your movement around the city, learn your habits and strike, when you’re in the city with your bike, or sleeping and the bike is in your garage. So if you feel like adding some protection to your ride, you better do things right. There is no middle road: you either leave your bike as it is and hope for the best, or do your research and and take some precautions that really do work. Out of Sight Out of Mind – Your bike is safer if it remains unseen. The best way to do this is by parking your bike inside a garage, or in a guarded parking lot. If you don’t have private parking try covering your bike. Steering lock – Motorcycles have had steering lock systems for awhile now. All you need to do is remember lock your steering a great first-step defense against bike theft and in the case of less experienced criminals, it might save you big time. Lock It – For those getaway thieves or those looking for a joy ride they will not want to take the time or effort in taking off a locking device. Hide Keys & Title – If you store your bike in the garage, make sure you don’t leave the keys there. Once inside your garage, the thieves already have plenty of tools to carry out their plan so it’s no use helping them. The same goes for the papers: if they’ve got your papers, they’ll be able to effortlessly make it past policemen before the bike is reported stolen. Security System – If you really want peace of mind, locking your bike with a high tech security systems is quite a good idea. A chain AND a disc lock, a U-lock and or alarm can deter some thieves but not all. Installing a device such as the T3 GPS Device allows the owner to be in charge. It is also encouraged to the install a theft prevention devices (alarms, ignition locks, kill switches) as well as a vehicle tracking system to help make it easier to recover a vehicle should it be stolen. When you install the 911Tracker in your vehicle you have a 90% chance of it being recovered within a 24 hour period which limits the amount of damage that could occur during the time of the car being stolen. 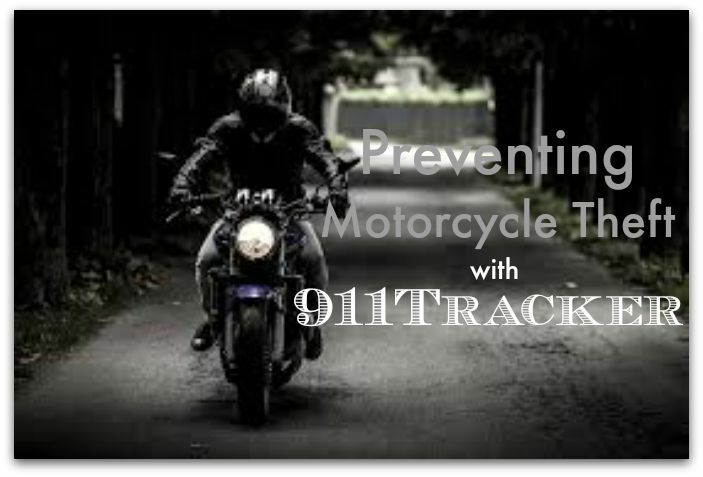 When installing a 911Tracker Tracker on your motorcycle you are fully protected at all time unlike other anti-theft devices. The T3 GPS Device protects like no others, not only for motorcycles but vehicles as well. 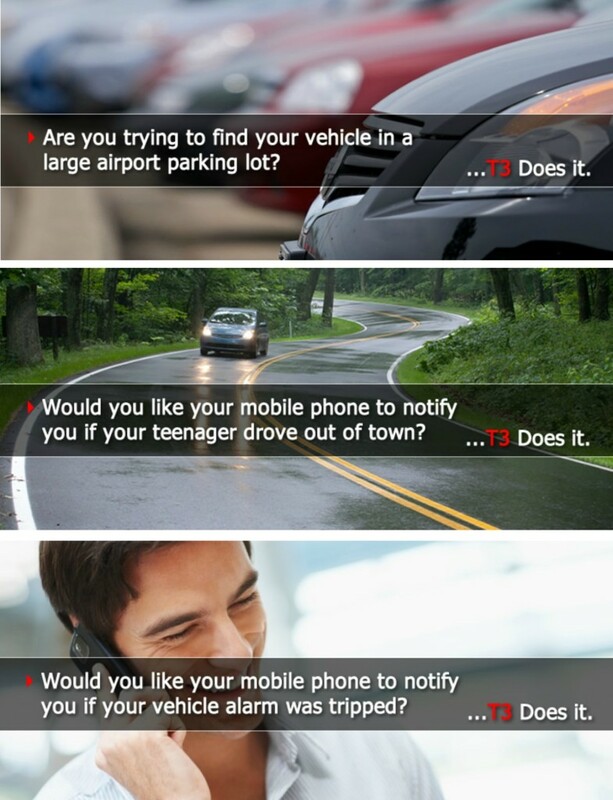 * Gives you the location of your vehicle allowing you to recover it. * Saves you money because it can lower your car insurance. * If you parked your car with your T3 in Master mode, you will receive notification as soon as your vehicle is moved. This is perfect for when parking at the airport, auto body shop or valet. * When you are talking to 911 on the 3-way call from the T3, the 911-Operator will see your vehicle location using their normal E-911 screen. If the 911-Operator presses 3, the T3 will voice the real-time speed, heading, and pinpoint GPS location. * T3 includes a vehicle starter disable/enable relay that you can control by sending your secure text message to prevent the thief from re-starting your car. * The 911Tracker has a back up battery so if the thief disconnects the vehicle battery you are still protected. Tracking devices are highly-effective in protecting against theft and hijacking, and for assisting in the recovery of your stolen vehicle and or motorcycles. To learn more about the 911Tracker and how we are making a difference head to our website. This entry was posted in Car Safety and tagged Car Safety, car security, car theft tips on August 20, 2015 by Deanna. When you install the 911Tracker in your vehicle you have a 90% chance of it being recovered within a 24 hour period which limits the amount of damage that could occur during the time of the car being stolen. You can rest assure that your vehicle is fully protected when you have a 911Tracker in your vehicle you are fully protected at all time unlike other anti-theft devices. 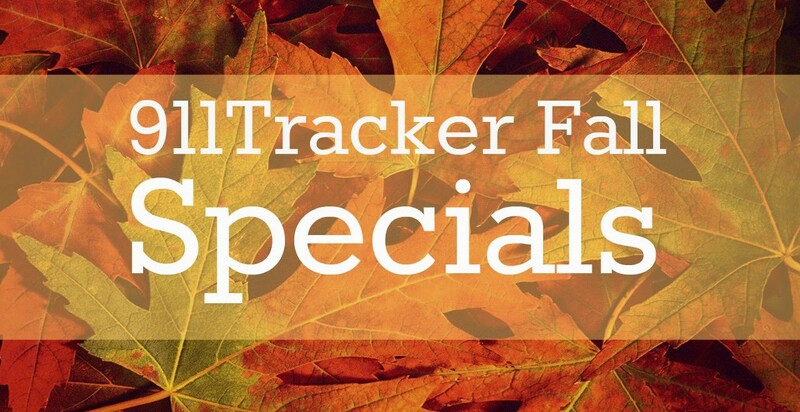 Right now you can save big with our 911Tracker Summer Specials. Here is a breakdown of the two specials we are running this summer. When purchasing the Silver Service package you receive the T3 GPS Recovery Device plus a 3 month Premium Silver service plan and FREE Shipping. When purchasing this Summer Silver package you receive the T3 GPS Recovery Device plus a 12 month Premium Silver service plan and FREE Shipping. Unlike other anti-theft devices the T3 Devices requires – No activation fee, No contracts or cancellation fees + You may cancel a plan or begin a new plan at any time. One of the things that 911Tracker prides itself with is that our T3 gives the owner Complete privacy – Your secret PIN gives you complete control and our T3 offers Complete security – Location text goes direct to your phone; No Internet. 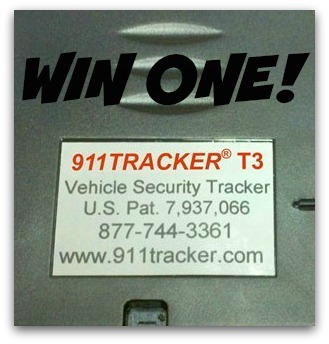 If you are feeling lucky enter to win a 911Tracker GPS Recovery Device by heading to our website. For more tips on protecting your vehicle whether it’s new or a classic gem head over to our website, because we know all to well that EVERY MINUTE COUNTS. This entry was posted in Car Safety, Giveaways and tagged car security, car theft tips, Giveaways on July 21, 2015 by Deanna. Summer is in full force with many vacations happening and families headed on those summer road trips. Summer is also the hottest time for auto theft in the United States. In order to raise awareness about how car owners can protect from vehicle theft national organizations have been promoting July as National Vehicle Theft Protection Month. Here are some simple tips that auto owners can do to protect themselves from theft or break ins. These tips may seem like common sense but most are often overlooked. Remove your keys from the ignition and never leave your car with the engine running. Never hide a second set of keys anywhere on your car. Never leave packages or personal items in plain view. Park with the wheels turned toward the curb, even in driveways or parking lots. This makes your car difficult to tow. Always use your emergency brake when parking. Park in well lighted areas or attended lots. Keep your registration card in your purse or wallet, not in your glove compartment. Activate any anti-theft device you have when you vacate your car. Have your vehicle identification number etched into your windshield. When installing a 911Tracker in your vehicle you are fully protected at all time unlike other anti-theft devices. Right now you can save big with our 911Tracker Summer Specials and if you are feeling lucky enter to win a 911Tracker GPS Recovery Device by entering on our website. For more tips on protecting your vehicle whether it’s new or a classic gem head over to our website, because we know all to well that EVERY MINUTE COUNTS. This entry was posted in Car Safety, Car Tips and tagged car security, car theft tips on July 13, 2015 by Deanna. The first documented case of car theft was in 1896. Vehicles are valuable, pretty easy to sell and they have a built in getaway system. Recent reports indicate that a car gets broken into every 20 seconds in the United States. Traditional car alarms have been around for decades with some effectiveness but it’s just not good enough. We’ve learned that 63% of vehicles have alarms and 41% of stolen vehicles have alarms which means car alarms are 35% effective in deterring theft. Doesn’t give you much sense of security does it? Here are some other interesting statistics…. While car alarms are not required in the United States but in Canada, Australia and many other European countries they require ignition kill switches. By far vehicle tracking devices are the most effective, because we all know audible systems is really just a noisemaker. It might deter a thief but if they do steal the vehicle there is NO WAY to track the vehicle. This is why GPS Tracking Devices are so effective. This entry was posted in Car Tips, Giveaways and tagged car security, car theft tips, Giveaways on July 6, 2015 by Deanna. Car crashes are the leading cause of death for teens and that risk climbs even higher during the summer months. More free time, relaxed parental curfews, and less supervision overall combine to create a higher risk for teen driving accidents and deaths when school is out. On an average more teens died in the months of July and August than any other months of the year. 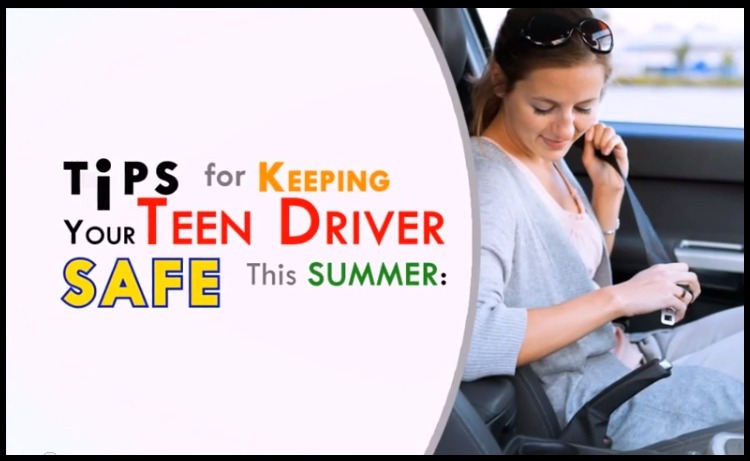 Worried about your teen being safe while on the road this summer? Check out our 5 Safety Tips that will help keep your teen stay safe on the road during those crazy summer months. At 911Tracker it’s our goal to bring you the best possible advice and products that will keep your vehicle and family safe while on the road or when your vehicle is parked. One way we do that is by offering the BEST GPS Recovery device on the market. We may not be as well known as some of the others but our T3 is by far the best device for individuals and families. Check out the T3 Difference…. When you call the T3 and presses # to make the 3-way call to 911, the call goes to the 911-Operator nearest your car. When you are talking to 911 on the 3-way call from the T3, the 911-Operator will see your vehicle location using their normal E-911 screen. If the 911-Operator presses 3, the T3 will voice the real-time speed, heading, and pinpoint GPS location. Our T3 GPS Recovery Device saves you valuable time can save you, your family, and your belongings. LoJack® doesn’t do this. OnStar® doesn’t do this. No other anti-theft system can do this. 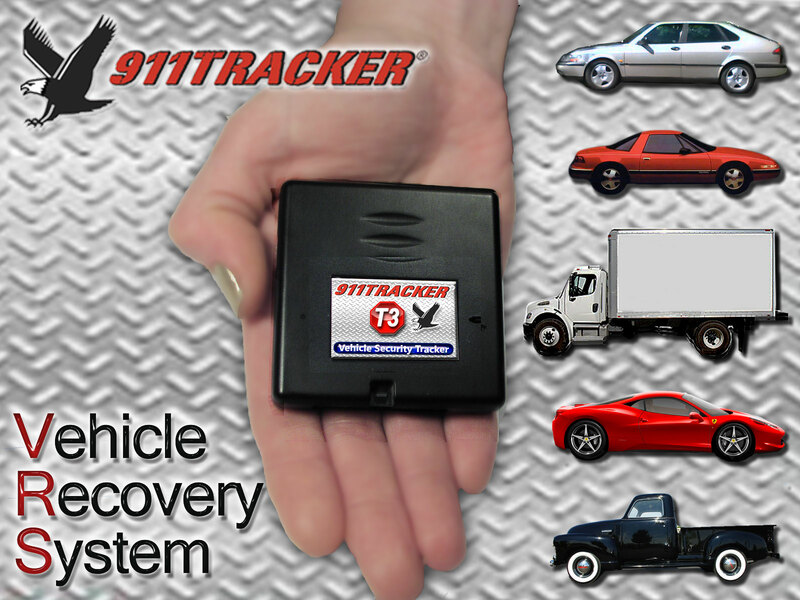 Learn more about Vehicle Recovery Systems through the 911Tracker website and check this video. WIN A T3 GPS RECOVERY DEVICE TODAY!!!! This entry was posted in Car Safety, Giveaways and tagged Car Safety, car security, car theft tips, Giveaways, Promotions on May 14, 2015 by Deanna. The landscape of car theft is changing. Car owners think they are safe because of built in security systems and with newer cars having a keyless entry, but now those items are not enough to keep a theft from breaking in. Cars with a keyless entry system are capable of searching for a wireless key fob that is within a couple of feet from the vehicle. You might think, what’s the big deal? Well the big deal is that now high tech thieves can use a simple inexpensive device called an power amplifier to boost the key searching capabilities which makes it much easier for the thief to break in. The thing is once the thief uses the amplifier they don’t even need your key to get into your car, even if the key is inside your house. They can unlock your doors and start the engine instead of using a physical key…yep! Pretty crazy! 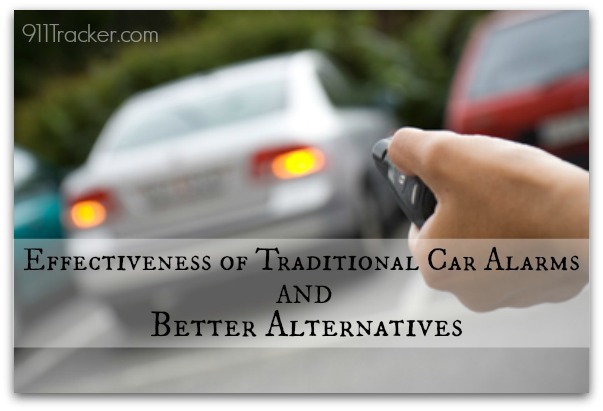 Remote keyless systems are vulnerable to car theft, but you can do something about it. Here are 5 ways you can protect yourself and vehicle. Hide Keys – This seems to be a bit excessive but when you’ve had this type of theft happen to you then you will be up for anything. Hide your keys in the freezer because the freezer blocks the wireless signal and the amplifier will not be able to search for the key. Lock Door Manually – This might take some adjustment because we are conditioned to remotely lock our doors. The jammers block the signal from the key fob to the car, but they can’t unlock the doors without the appropriate code. Stay Aware – Constantly be alert of your surroundings. If you park your vehicle in the street or parking lot on a daily basis and notice people loitering and they seem suspicious call the police. Look for Radio Jammers – Metal or plastic boxes sized and shaped like a portable radio and will 1-4 antennas. If you find one nearby consider calling the FCC to see if they want to get involved. There could be car thefts happening in your area that you are not aware of yet. Protect Your Vehicle – Using a device like the 911Tracker T3 GPS Recovery Device may not stop the thieve from getting into your car BUT it can help recover your vehicle FAST. Unlike other anti-theft devices the T3 Devices requires – No activation fee, No contracts or cancellation fees + You may cancel a plan or begin a new plan at any time. One of the things that 911Tracker prides itself with is that our T3 gives the owner Complete privacy – Your secret PIN gives you complete control and our T3 offers Complete security – Location text goes direct to your phone; No Internet. To learn how our T3 can benefit you and your vehicle head to our website. This entry was posted in Car Safety and tagged Car Safety, car security, car theft tips on April 27, 2015 by Deanna. At one point hot wiring cars and jimmying door locks were the norm for car theft. In the last 20 years or so anti-theft technology has gotten so high tech that thieves were forced to get more creative. Almost every car on the market, used and new have a transponder key. The transponder key transmits a radio signal to the car in order to start the ignition. Because of this device, plus alarm systems car theft has declined. Because of these factors car thieves needed to get creative. Thieves are now faking paperwork and give to a dealership or bank. They pretend to be the owner of a car that claim that they lost their keys. The thieves copy or make up a VIN number. Once they gain access to the set of keys they are good to go! Individual car owners are not the only ones effected by car theft. Rental car companies have seen an increase in car theft because thieves will make copies of keys when they rent a car. After returning the car they then can easily steal it from the rental lot or elsewhere at a later time. Seems like a lot of trouble to steal a car right? But, when you are getting paid a hefty fee then it’s worth it in the end. Thieves can resell the stolen vehicles and also export them to foreign countries because they are worth so much more than just reselling in the US. So, now what? You have a new car with a great factory security system, it should do the trick….maybe not! Because of the changes in car theft it might be a good time to invest a anti-theft device like the T3 GPS Recovery Device. * If you parked your car for a period of time you will receive notification if your vehicle is moved or if the ignition is turned on. This is perfect for when parking the airport, auto body shop or valet. We spend thousands of dollars on the vehicles we drive, why wouldn’t we want to protect them just as we do our homes? Tracking devices are highly-effective in protecting against theft and hijacking, and for assisting in the recovery of your stolen vehicle. You can now purchase the T3 Recovery Device is now on sale at $100 off and until the end of February you have the opportunity to win one of your own, a value of $260.00. This entry was posted in Car Safety and tagged Car Safety, car security, car theft tips on February 16, 2015 by Deanna. San Jose Double Car Theft – How it could of been avoided! If you live around the San Jose area you may have heard about one family’s experience with car theft. The Stewart family not only had one car stolen but two cars stolen within a matter of hours of one another. It all started at the Good Samaritan Hospital in San Jose where the wife of Daniel Stewart was being treated for multiple sclerosis. Wondering how the heck something like this could of happened to one family? You see, Daniel lost his keys which the thief found which made it very easy for him to find the vehicle and steal it. Sets of keys for both vehicles were on the set of keys that were stolen. To make it even easier for the thief to steal the 2nd car the registration and insurance were found in the car which gave the thief the Stewart’s home address. There are many ways car theft can be avoided and things we can do after a car theft occurs that can protect you and your family. One way that Daniel is now doing to protect his vehicles and family is by installing the T3 GPS Recovery Device. After we heard the story of the Stewart family’s misfortune we offered Daniel one of our T3 Devices to use in the 1 vehicle that was found, still looking for the 2nd vehicle. If the T3 was in the vehicle at the time of the theft Daniel could of easily found out if the car moved from the parking location and also get a GPS location of the vehicle which would make it easier for the police to find the stolen car. Since Daniel has had the T3 Device in his car he and his family has felt more secure. It’s already come in handy. Because of the T3 GPS capabilities Daniel was able to check the location of his wife while she was traveling to work. Because of her job at the San Jose courthouse it’s very important for her NOT to be late. That particular day Jennifer was delayed because of traffic and forgot her cell phone at home so she couldn’t call her place of work to notify them of the situation. Daniel was able to see exactly where Jennifer’s car was located and estimated how long it would take her to get to the court house. Daniel was able to call the court house and give them ETA, so the problem was averted. Daniel and his family are very happy with how the T3 has given them peace of mind and a sense of security that they didn’t have before. 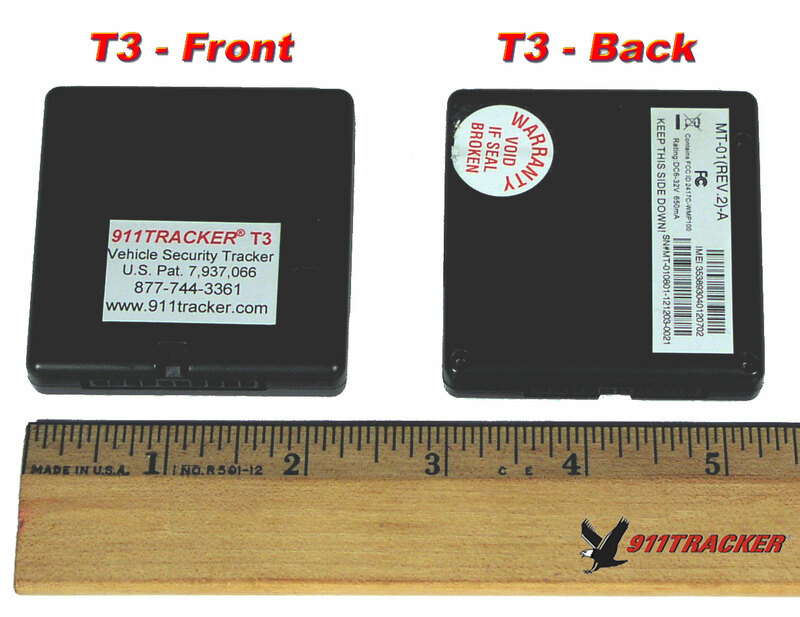 Check out how the 911Tracker T3 GPS Recovery Device can help you and your family and see our Winter Specials on our 911Tracker products. This entry was posted in Car Safety, Car Tips and tagged Car Safety, car security, car theft tips on January 25, 2015 by Deanna. You know how to protect your vehicle from theft, but sometimes that just isn’t enough. The unthinkable happens, because every 44 seconds a car is stolen in the US. It could happen at any point of the day or night, even when you take all those precautions . Having your vehicle stolen can be a very frustrating experience. Here are some tips that will help you deal with this crisis, and hopefully get your vehicle back to you within a short amount of time. THINK BEFORE YOU ACT: Is your car actually stolen or just towed, misplaced or even worse repossessed. Before calling 911 just take a moment to consider these other options because the last thing you want to do is involve the police unnecessarily. CALL 911: So you’ve taken the time to think things through and realize that YES your vehicle has been stolen. The first thing you should do is call 911, and have a police report filed. KEEP EXTRA INSURANCE CARDS: Most times your VIN number and registration are in the vehicle that has been stolen. Make copies of your registration and insurance cards and have them in your wallet so you have all the information you need when talking to the police. BE TECH SAVVY: Vehicle manufacturer security systems may not be enough to completely keep your vehicle safe. Once upon a time LoJack was the only non manufacturer security system…..not anymore. Check out how the T3 Recovery Device works effectively. CONNECT WITH YOUR INSURANCE COMPANY: The police was called and report has been filed, now it’s time to connect with your insurance company. When connecting with your insurance company you are protecting yourself. Yes, that right! Your stolen vehicle could be used to cause harm or damage after the theft. Make sure you give your agent detailed information of all personal items in your vehicle. CONNECT WITH LENDER: If your car is leased or financed, you should also call the lender that you used to purchase the vehicle. 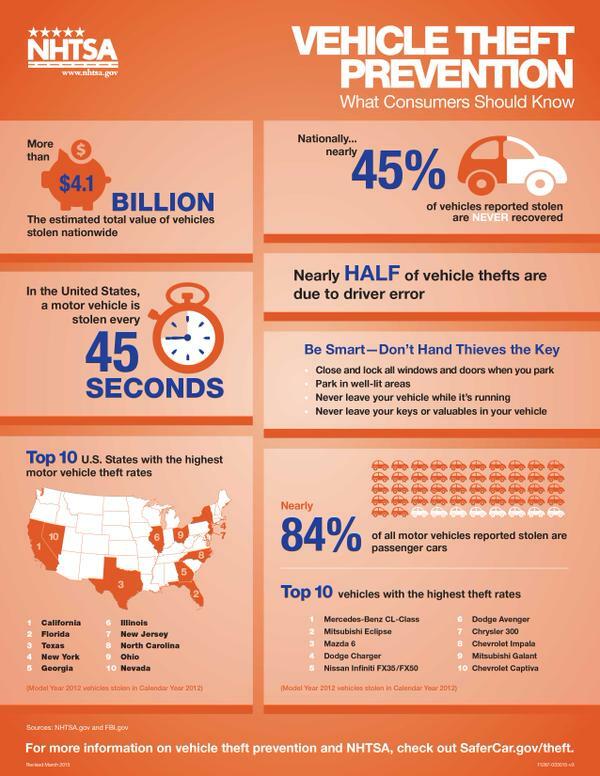 According to the NHTSA 40% to 50% of stolen cars are a direct result of owner mistakes. 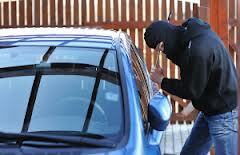 Make sure you are making smart choices at all times which will reduce your chances of car theft. Has your vehicle been stolen before? What tips can you share to help others in the future? Don’t forget to check out our different types of recovery devices, the T3 and S4 Recovery Devices. These will not only help secure your vehicle but make recovery time less if your vehicle is stolen. EVERY MINUTE MATTERS! Feeling lucky? Enter in our S4 Tracker Giveaway, worth $300! 911Tracker will pick 2 winners on November 15, 2014. GOOD LUCK! This entry was posted in Car Safety, Car Tips and tagged Car Safety, car security, car theft tips on November 5, 2014 by Deanna. 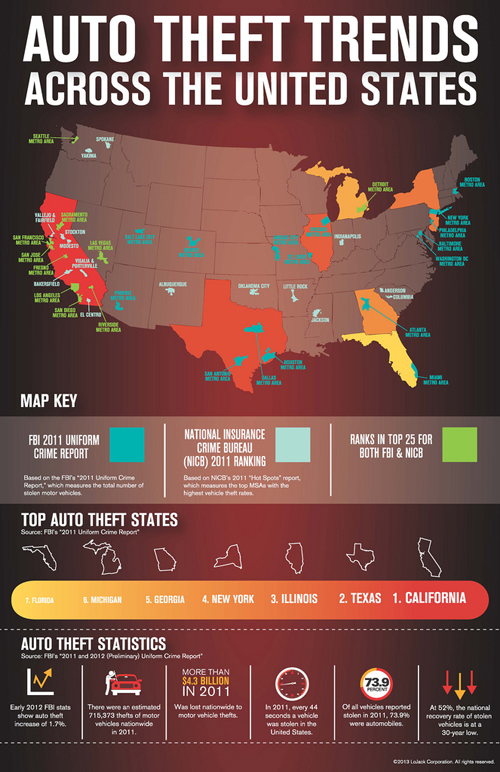 If you live in California you are at higher risk of getting your vehicle stolen. This is because 9 out of 10 hot spots for car theft happen in the state of California. The reason for this is because of international boarders and dense populated areas where vehicles are presented as opportunities for thieves. Vehicles that are more apt to be stolen are classic cars. Classic cars are targeted because they are easy to sell overseas. People would pop them in containers and ship them overseas and a lot of them were a “for order situation”. Classic cars are worth much more than the average new vehicle and most times the classic car is one of a kind. You never think it will happen to you. You lock your car and you feel protected because you may have a built in alarm system that makes a nasty sound when someone tries to break in. There is something you need to remember……it can happen to you and it has happened to over 700,000 Americans. Summer has the highest rate of stolen vehicles throughout the year. Most cars were stolen on the weekend. We don’t want you to be next so check out these 8 tips to protect your vehicle from theft. Have you used any of these tips? If so, tell us how they have helped you protect your vehicle. This entry was posted in Car Tips and tagged Car Safety, car security, car theft tips, Classic Cars on July 8, 2014 by Deanna.